As Trove comes to a close this week we asked IMMA curator Johanne Mullan to tell us a little more about how the exhibition came into being. You can also listen to a brief introduction to Trove by IMMA Director Sarah Glennie on our IMMA Soundcloud. 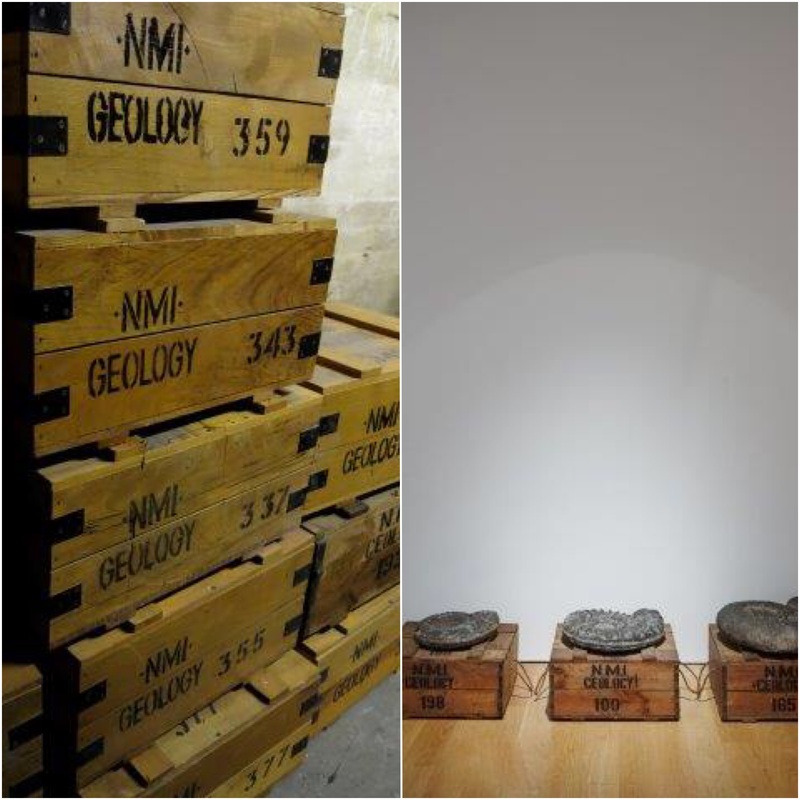 A recent panel discussion brought together curatorial representatives from IMMA, Crawford Art Gallery, the National Gallery of Ireland and the National Museum of Ireland to explore the key factors that determine the objects we choose to collect for our National Collections. As chair of the panel, Catriona Crowe, Senior Archivist, Special Projects with the National Archives of Ireland, allowed a flowing discussion of the range of interdisciplinary narratives that inform how our National Collections have expressed their identities as they continue to evolve. You can listen back to that conversation on soundcloud. The context for this excellent discussion was the exhibition Trove, Dorothy Cross selects from the National Collections, Sponsored by BNP Paribas and the manner in which Dorothy Cross has demonstrated that it is possible to glide from subject to subject, object to object and collection to collection without experiencing turbulence or feeling the least bit of resistance. 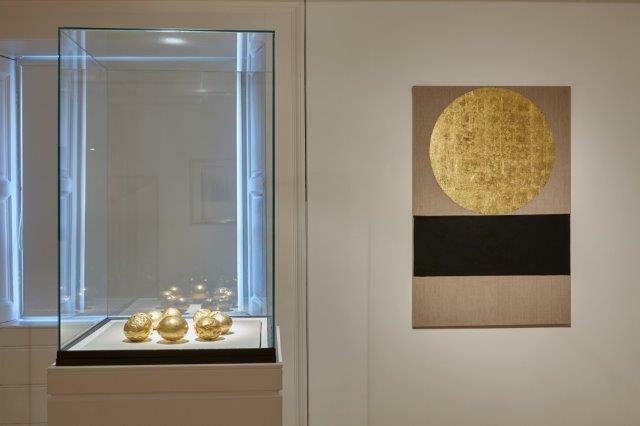 Her selected artworks and objects were arranged and framed to create very different meanings and to invoke, inspire and situate audience responses with regard to their connection to the National Collections. I was tasked with accompanying Dorothy on her journey through the wonderlands of these Collections, gaining access to the stores and documenting the process. The original concept of Trove was to formulate new relationships between paintings and objects from collections and to create an exhibition that would juxtapose works of art and objects from throughout history. 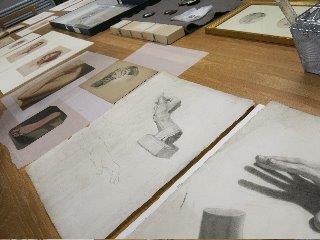 The approach that was taken was to explore the divergent strands and aesthetic power of the collections. As an artist Dorothy was perfectly placed to demystify our collections, to root out lesser known objects, to see the fragment within the whole. 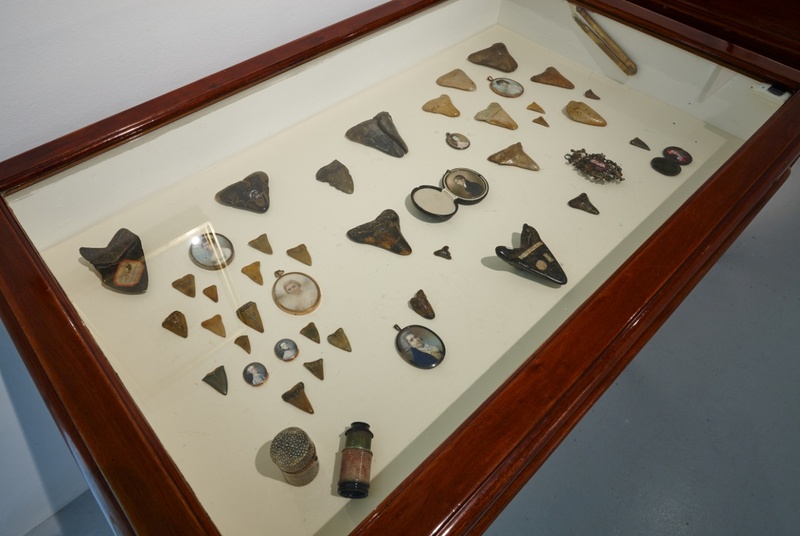 It was my role to support Dorothy’s creative drive, to look at the practicalities of the institutional bedrock, from which the objects and artworks were to be excavated. 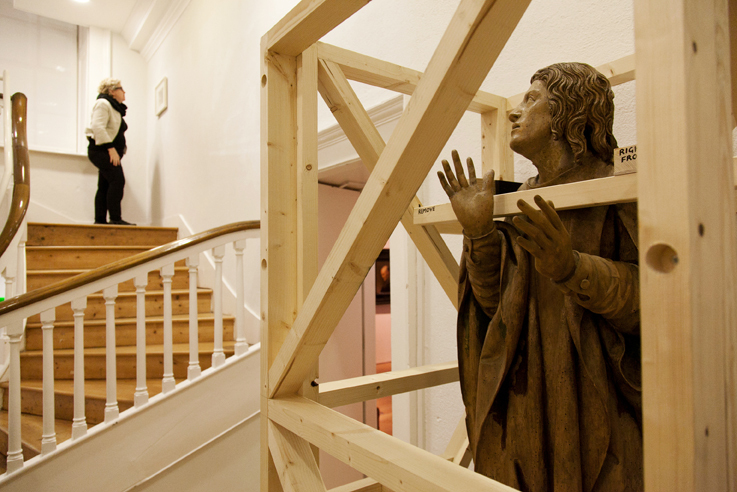 Bringing together over 100 art works & objects from a wide range of venues was not without its challenges. 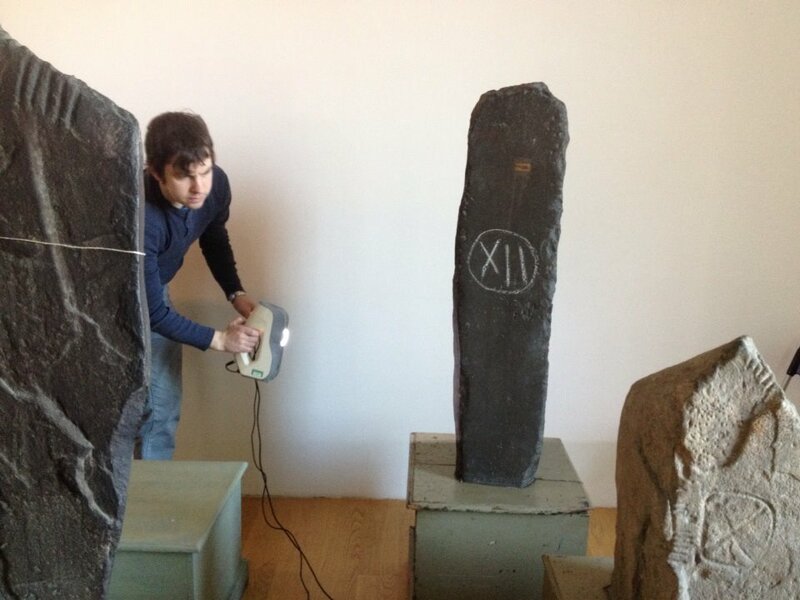 For example, the inclusion of an arrangement of Ogham Stones from the National Museum was at one stage in doubt due to their physical weight and concerns over the load bearing capacity of the gallery floor! 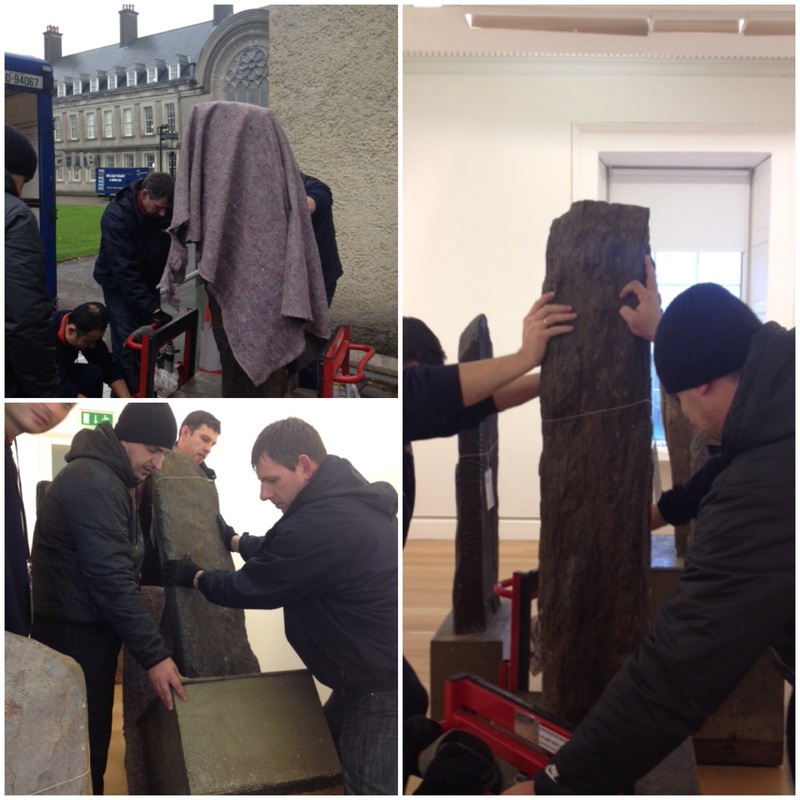 The panic was quickly resolved with the help of the OPW however, and the floor is currently being supported from below for the duration of the exhibition. The process was extremely rewarding from two perspectives. From the institutional side, the “museum folk” were brought together in many instances for the first time, to find innovative solutions to curatorial, preservation and conservation issues. We were challenged to recontextualise our collections and to examine how we could display objects according to radically different criteria. 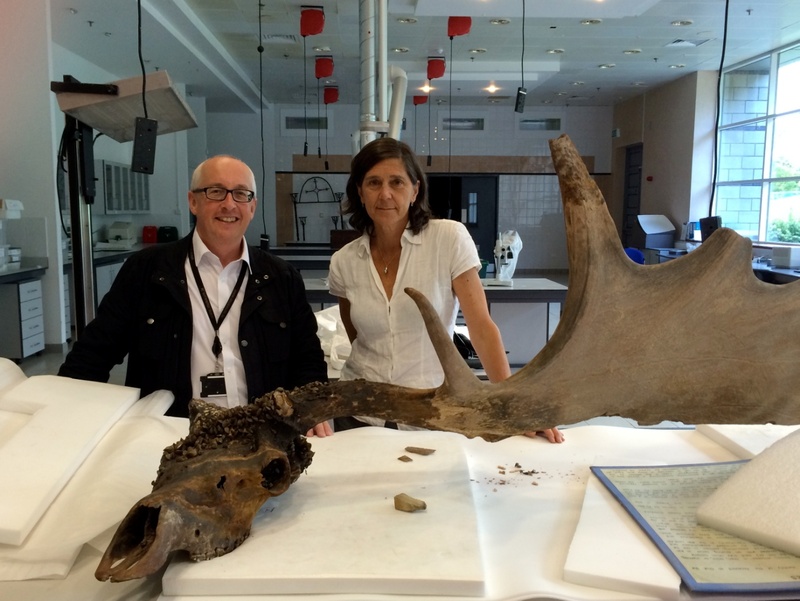 Nigel Monaghan, Keeper, Natural History Division, NMI, and Dorothy Cross in one of the National Museum’s conservation areas. While viewing the stores and conservation areas Dorothy was drawn to the behind the scenes work of the institutions, the care that is taken to conserve and protect the art and objects. 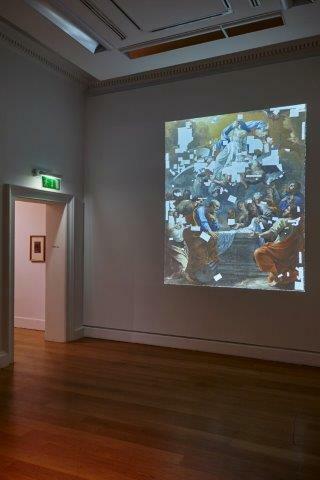 In response Dorothy selected works that were not ‘exhibition ready’, works that are quietly being worked on-mended-such as The Assumption by Charles Poërson from 1645-1650 from the National Gallery of Ireland Collection. The work was on the original loan list but was too fragile to travel and appears in the exhibition as a projection. From the perspective of collaborating with the artist, there was a powerful transformational nature to both the process of creating the exhibition and the product, the exhibition itself. Artists have the potential to animate museums in novel ways. Dorothy was not only working with the Collections, she was working with our ways of thinking. Unburdened by the curatorial need to produce labels and endless text panels Trove is noticeably void of both. This decision was an attempt to allow the visitor the freedom to explore and experience the works as Dorothy did during her initial explorations. As we continouslly seek to expand our reach as Museums and broaden and enliven visitors experiences, the experience of curating and delivering Trove will hopefully offer significant learning for future collaborations. Trove, Dorothy Cross Selects from the National Collections, Sponsored by BNP Paribas, closes on Sunday 8th March 2015. Admission is free. If you’re interested in learning more about the collections and curators involved in Trove you can watch a series of interviews filmed by Nicola Lane on our IMMA YouTube. 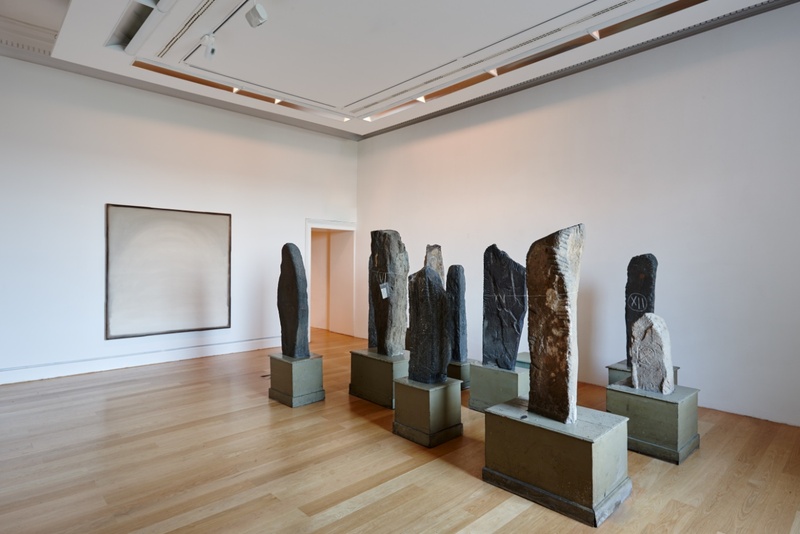 On 28 February Dorothy Cross spoke to Lisa Le Feuvre (Head of Sculptor, Henry Moore Insitute, UK) to discuss how artist-curated exhibitions open up new ways we can look and think about art. Audio from this public conversation will be available on our IMMA Soundcloud very soon. Resources: A series of educational resources have been developed by the Education & Community Department to provide supplementary information for Second level students and their teachers visiting the exhibition.. They may also be of interest to the general public as an introduction to Trove.